I am so excited that the functions I want for the iPhone photo album is now possible! Don’t you wish you can split the photos in your camera album into dates and months and time for easy browsing and viewing? Some of you might even want to lock some private photos from prying eyes. Now it’s all possible with this app I found. It’s called ‘Photology’. 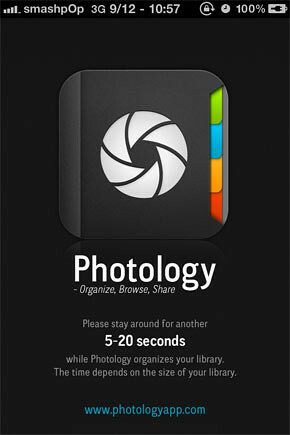 Photology is a high-end Photos app that lets you BROWSE, ORGANIZE and SHARE your iPhone photos in a better way. 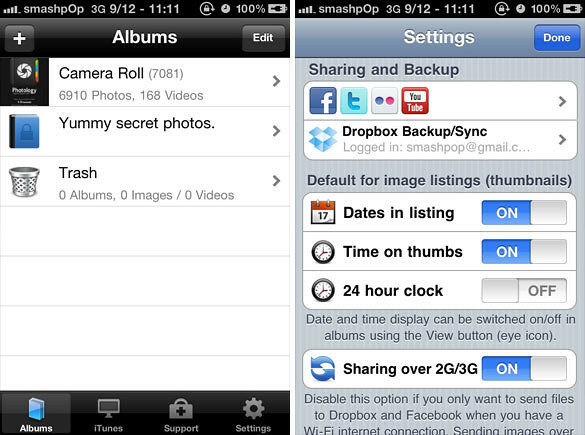 Everything from automatically splitting your existing Camera Roll into events by date/time with detailed info about your images, to sorting your images into albums that you can share on Facebook, sync with Dropbox, password protect and more! 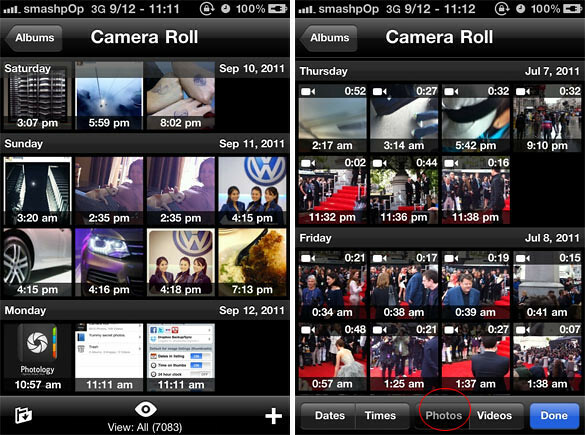 Upon opening the app for the first time, it will take about 5-20 seconds to scan through your photos in the iPhone and presenting them to you sorted by dates and time. Left: my photos are now listed according to date and timestamp on the thumbnails! Right: you can toggle on/off for photos and videos. In this case, I have turned off photos, leaving only videos in the list. Left: You can also toggle on/of for date and timestamp. See how I have turned off timestamp for my thumbnails? 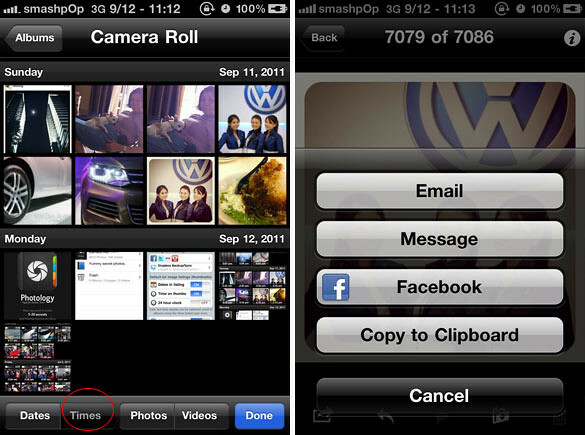 Right: Photos can be shared via email, message, Facebook, Dropbox or copy to clipboard. We can select multiple photos too. Left: We can create private albums in Photology too. Just Tap on ‘+’ Sign, set a password and you are done. See how I have created a folder called “Yummy Secret Photos”. Haha. So I have been using it for about 30 minutes now and it works just as advertised. No bugs no crashes no problems. Highly recommended if you are desperately seeking a way to organise your iPhone photos.